The infrastructure and development at the university are constantly on improved for the benefit of all campus communities. The opportunity to study at the University of Malaya is a chance not to be missed. It is close to the city of Kuala Lumpur and all the city attractions such as the National Museum, Arts Market, Kuala Lumpur Tower and the famous Petronas Twin Towers. The library also offers access to electronic resources such as e-journals, databases, citation indexes, and bibliographic management software. The core business of the library is to support teaching, learning and research needs of the University. The library is headed by the Chief Librarian, with a complement of professional, support and technical staff. Established in 1959, the Main Library sits in the middle of the University Campus. It is a four storey building with a floor space of 17,372 square meters. Full seating capacity is 1,608 and there are altogether 53 daily carrels with 21 set aside for the visually impaired. The Main Library also has 4 computer labs as well as computer facilities at every floor. Information on library’s holdings is available from the Online Public Access Catalogue (OPAC). Centre of Information Technology or Pusat Teknologi Maklumat (PTM), provides the necessary infrastructure, services and resources for ICT services in University of Malaya, and its campuses. Computer laboratories with internet connection are available in the library and faculties for students to carry out their research and assignments. The library has an online Open Access Catalogue (OPAC) with internet connection that opens the doors of the library to worldwide access. In addition, wireless connection is also available throughout the campus. For international and postgraduate students, accommodation arrangement can be made at the International Students Affairs Unit. University of Malaya has 13 residential colleges that could accommodate up to 11,000 students at one time. This figure represents about 65% of all students pursuing their first degrees. Each residential hall is administered by a principal and assisted by several fellows. Besides accommodation, the Residential Halls also provides facilities such as game courts, reading rooms, grocery shops, cyber cafes and computer labs. Students’ daily living expenses are dependent upon their needs and lifestyle. An estimated cost of accommodation, food, books, clothes, entertainment, local transportation, and other expenses for a single student are approximately RM800 to RM1,300 per month (USD$250 - USD$400) for a single student. Movement within and out of the campus is made easy by the shuttle service provided by Student Affairs Division. It manages 21 buses (including three coasters) and 25 drivers provide shuttle services for students travelling in and outside campus. One-Stop Convenience Centre The Perdanasiswa Complex located next to the varsity lake is a one-stop convenience centre for the university students and staff. Among others, the building complex houses a University book shop which is one of the largest and best stocked university bookshops in the country. Academic books could be purchased at a cheaper price compared to those found in commercial bookstores. Books can be ordered in advance to provide convenient access to materials for study and research. Students may also find travelling plans made easier with a visit to the UC Travel Agency which offers an array of vacation packages, buses, train and airplane ticketing services. There is also a post office located at the complex which makes it convenient for students and staff to receive postal services which include buying stamps, postcards and paying bills. Several automatic teller machines are also available at the complex. The campus sports and recreational facilities are managed by the Sports Centre. 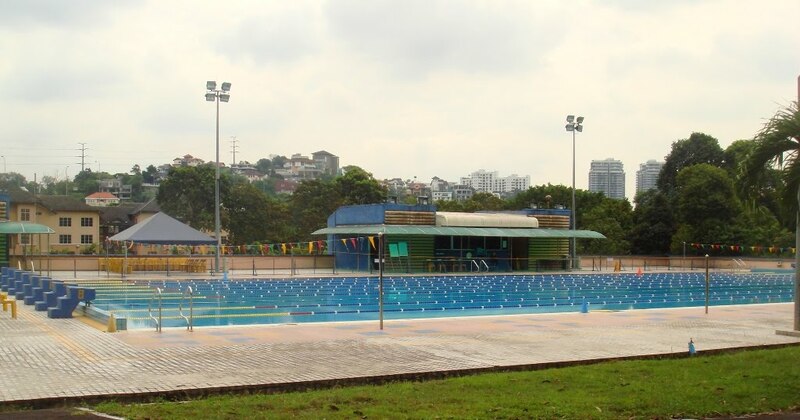 For avid swimmers, there is an Olympic-sized swimming pool at the Sports Centre. The Centre also houses several tennis courts and fields for soccer and rugby. A brand spanking new stadium is being built to accommodate even more activities on campus. The Sports Centre also organizes sporting activities and co-curriculum courses, in addition to being the coordinating body for all sporting facilities on campus. Members of the University may also enjoy a brisk walk or a run at the jogging track around the varsity lake.